The company will be 100% state-owned. 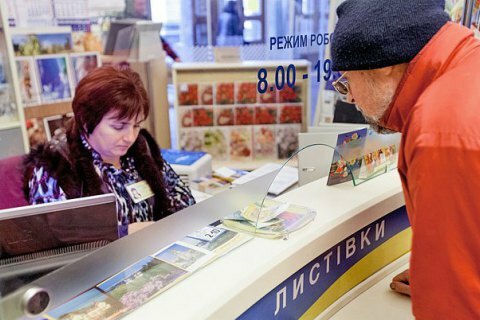 Ukrainian state enterprise of postal communication Ukrposhta on March 1 has become a public joint stock company, the company announced on its website. "The reorganisation will allow Ukrposhta set an independent board and attract financial partners for its investment projects. The company shares will be fully owned by the state, because Ukrposhta is on the list of strategic enterprises of Ukraine," the statement reads. PJSC Ukrposhta is the successor of USCPC Ukrposhta. The company is the national operator of postal communications of Ukraine. Ukrposhta exists as a separate entity since 1994. Now it has more than 12 thousand objects of communication, an employs more than 73 thousand workers. Since July 2016, Ukrposhta heads elected via a job contest the general director IHor Smelyanskyy who has vast experience in leading consulting companies.